: a day at the beach followed by an outdoor movie? yes, please! : outdoor movie and wine tasting right next to the historic Hollyhock House. and there are more too, check out other screenings ! INDOOR THEATERS: because sometimes you just want to sit in a theater and not talk. : there are several locations across town but the hollywood one is my favorite. reserve in advance as this theater is often busy. some of the bigger features get shown in “the dome” which is a histrocial theater that has been home to many premiers over the years. the screen is massive, it seats 800 people and it’s a really fun experience to feel the energy and excitement of a true movie loving crowd. they also have a lobby bar and they recently started allowing guests to bring their alcoholic beverages into the movie with them! they feature only one film at a time, this is my favorite theater in town because of both its charm and history. it really is a treat to see a movie here. they offer $6.50 matinees, great candy selection and they’ll let you bring in coffee from the shop across the street. and their seats have so much leg room. the prettiest theater! : they show a lot of silent films at this theater, it has a serious community vibe and the people attending really love film. a fun place to spend an evening! : a 21+ theater, they have a great little bar with snacks and drinks that you can bring in with you. 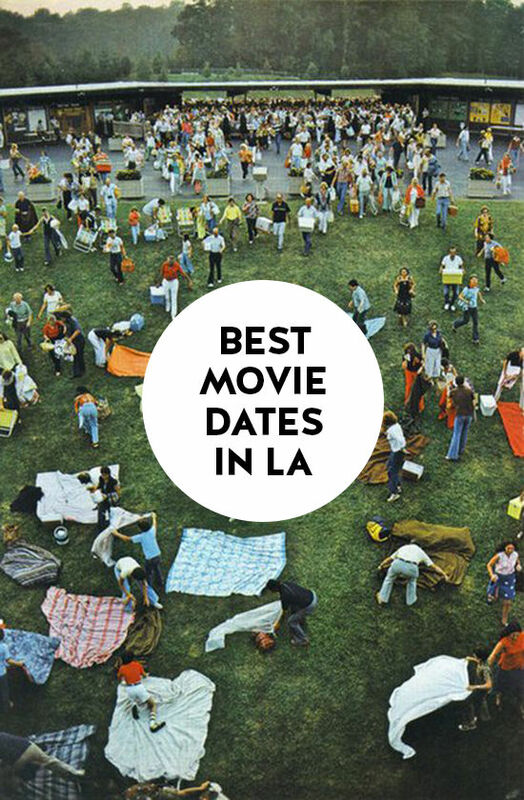 3 hour free validated parking, comfy chairs and a patio for post-movie hang outs. : located in pasadena, this is part of a movie theater chain established in 1938 that focuses on independent, foreign and art films. you’ll find a lot of their releases won’t show up in any other theaters in town. : there is no better movie deal in town then this place. they play movies that have been out for a bit but you can’t beat their $2 matinee and $3 general admission ticket prices. they also have a date night special on wednesday after 6pm, two movie tickets, 2 popcorns and 2 sodas for $10. : just south of LA in long beach there’s a charming 1920’s art deco theatre on retro row (a street filled with thrift shops). it has a cute little coffee bar outside and a wine bar where you can buy a bottle to take in with you during the movie. they always play the latest independent movies and do a weekly live showing of rocky horror picture show. a great date night or afternoon show to catch after thrifting! 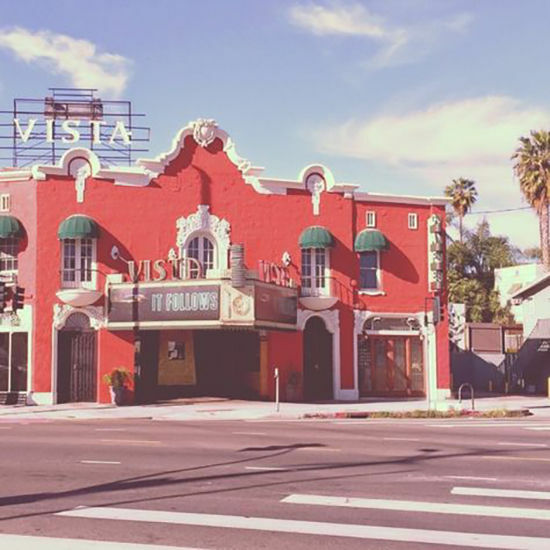 : Quentin Tarantino owns this retro theatre that plays double features of classic movies for $8. curious about other activities to do in LA? we’ve listed 12 free activities, our favorite spots for a healthy and also and indulgent meal, and our favorite date spots. it totally is, just wish it wasn’t so $$$! Thank you for sharing! Do people still going to movie theaters? yesss! all the time. i probably go 3-4 times a month! I’m always on the lookout for date ideas and I am so happy I came across this post. Putting some of these on my list!